The St Fergus gas terminal near Peterhead is home to the Acorn CCS project. Fears have been raised of “another false dawn” for north-east jobs on carbon capture and storage (CCS) as the government risks falling behind on delivery plans. 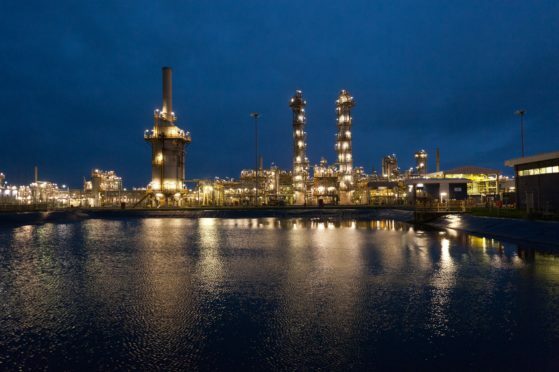 Last year, St Fergus near Peterhead was highlighted by a Westminster taskforce as a key site to deploy CCS at scale, three years after a £1bn fund for a similar project in the region was scrapped. The UK government wants to roll out the clean energy technology widely in the 2030s in order to meet climate targets, and published a clean growth action plan in November to help do so. However, none of the nine points in the strategy which were meant to be completed in 2019 have been achieved yet, leading to fresh concerns over the region being “sold short”. Banffshire and Buchan Coast SNP MSP, Stewart Stevenson, said Westminster needs to “quit stalling and start delivering”. He said: “Peterhead was promised £1billion investment and 600 jobs in 2014, but then the Tories pulled the plug in a cynical betrayal once the independence referendum was out of the way. “CCS investment is back on the table – but the Tories are dragging their feet once more. “They already risk falling well behind on their latest timetable – raising fears that it’s yet another false dawn for north-east jobs. “Scotland already leads the world on engineering expertise in the energy sector. CCS is a process which captures large quantities of carbon emissions and stores them underground, stopping them from being released into the atmosphere. Oil and gas pipelines could be used to store CO2 in rock formations under the North Sea. It is estimated region could store 75% of the UK’s CO2 emissions when coupled with carbon capture infrastructure. A similar project at Peterhead Power Station, backed by energy firms SSE and Shell, had to be scrapped in 2015. The scheme was the frontrunner for a £1bn UK Government fund, before it was withdrawn in a last-minute move which caused political outcry. Since the clean growth strategy was launched in November, the department for Business, Energy and Industrial Strategy (BEIS), said “good progress” is being made on a number of fronts. Work to set out policy options on greenhouse gas removal and identifying opportunities on reusing infrastructure for CCS will be completed over Spring and Summer. BEIS will also finalise work with other CCS development bodies in Japan and Norway, along with setting out the scope of the government’s £315m energy transformation fund, by the end of the year. The government is also working with partner countries on the global “Mission Innovation” action plan to accelerate the use of clean energy technologies. A BEIS spokeswoman said: “The UK is a world-leader in tackling climate change and part of this is investing in new innovative tech to capture emissions before they enter the air we breathe. In December, Acorn at St Fergus was awarded the Oil and Gas Authority’s first licence for storing C02 under the North Sea.